What can bitcoin learn from the failure of global language Esperanto? What can bitcoin learn from the failure of ‘global’ language Esperanto? It’s said that making economic policy is like trying to steer a car looking only in the rear-view mirror. Unsurprisingly, this can lead to some pretty spectacular crashes. It’s this trickiness of trying to predict the future relying on not-strictly-comparable historical precedents that makes economic forecasting such an inexact science. But if it’s difficult to predict how the market’s going to behave with stacks of historical data to help, how much harder is it when there’s no precedent at all? That’s the situation that faced investors during the dotcom boom in the late nineties and is facing them again with bitcoin and the advent of virtual currencies. A quick look at the CoinDesk Bitcoin Price Index for the past six months gives a pretty good indication of how much uncertainty there is out there. Without a clear precedent to turn to for bitcoin in the world of finance, perhaps it’s worth casting the net a little wider to get some hints about where all this might lead. Some people have noted there are more than a few similarities between digital currencies and invented languages. By comparing them, we might be able to garner a few clues about the future of cryptocurrencies. In 1887, Polish linguist Ludwig Zamenhof came up with the best-known of these invented languages, Esperanto. The similarities between Esperanto’s inception and that of bitcoin are pretty striking. At the heart of both inventions was a political ideology, and a lot of ambition. Zamenhof’s aim was to create a politically neutral language which could encourage peace by increasing understanding between different nations and cultures. This reflected the changing shape of the world around him, where migration was on the rise and different cultures were increasingly coming into contact, and conflict, with one another in Europe. Bitcoin’s creator(s) developed a digital currency, free from the institutional control associated with traditional fiat currencies. It would be similarly international as it wasn’t tied to any sovereign state, and was designed to better reflect life in the Internet age where international trade is simpler and more common than ever before. Alas, you’re not reading this article in Esperanto. Nor did the presidents of the US and Iran conduct their historic phone call in the language. With apologies to the die-hard Esperanists out there, I think 130 years is enough time to safely conclude Zamenhof’s invention is never going to become the diplomatic lingua franca he had hoped for. Looking at the reasons why it didn’t make it gives us some interesting insights into the barriers bitcoin faces if it’s ever to join the mainstream, and a few pointers as to how it can overcome them. In Nicholas Ostler’s 2010 book The Last Lingua Franca, he examines how languages over the ages have acquired the status of lingua franca, and why the likes of Punic and Latin no longer have it. The key factor in the adoption of a new lingua franca, he argues, is its recruitment of new users. Languages benefit from network effects – in other words the more people who use a language, the more useful it becomes. The problem is, people will only take the trouble to learn a new language if they feel there’s enough benefit in them doing so. 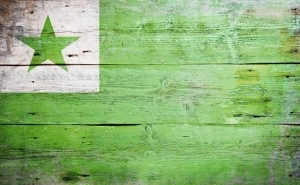 With no native speakers of the language, Esperanto was starting from absolute zero and it proved an exceedingly hard sell trying to convince people to take it up, meaning it never really developed into anything more than an academic curiosity. The same network effects apply to currencies. For currencies to be useful, there has to be a network of people who will accept them in exchange for goods and services. 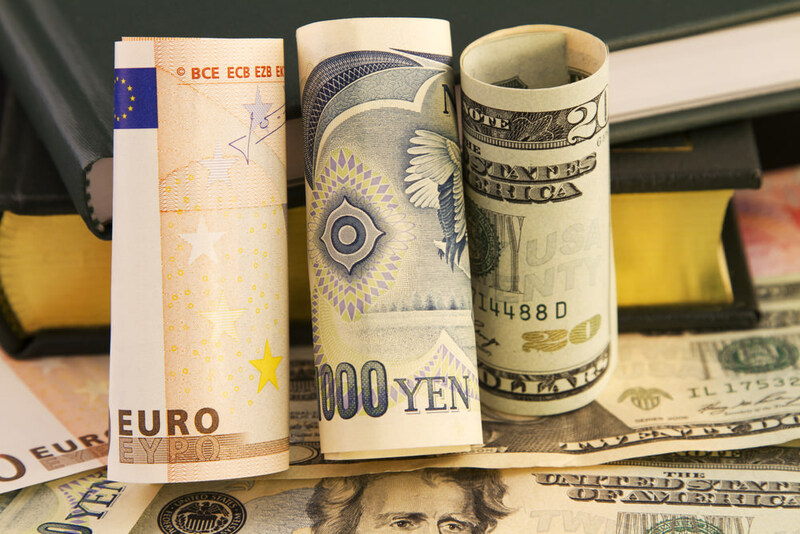 US Dollars are very useful because you can use them, or at least exchange them, virtually anywhere on the planet. For people to adapt to using bitcoins there needs to be a wider variety of places where they can be spent. Of course this is a bit of a circular argument – a currency is only useful when people accept it, but places won’t accept it until there are enough people wanting to deal in it. This conundrum brings us onto the next issue that faced Esperanto. Learning languages is difficult: it takes a lot of time and a lot of effort. Zamenhof knew this and set out to make Esperanto as regular as possible, cutting out all the eccentricities languages that have grown organically have picked up along the way. The result is impressive. It is thought to take around a tenth of the time to learn compared to other languages – particularly if you’re already familiar with one of the Western European dialects it’s based on. Despite this, it’s still clearly a barrier, and one that has proved too high for most people to bother scaling, particularly with English providing such an effective medium for international communications. Bitcoin too suffers because of these obstacles. It remains a difficult currency to get your hands on and the steps you need to take to convert your paycheck into bitcoin are fairly intimidating for a first-timer. Efforts to simplify the process are ongoing and it’s sure to get easier as supply increases and protocols improve, but the experience of Esperanto suggests easier access might not be enough on its own. At this point it’s probably worth turning our attention to the incumbents – English and the US Dollar. In his book, Ostler also examines what conditions were needed for an established lingua franca to be unseated. He argues that the context needs to change to the extent that what used to be an advantage becomes a net liability. English came to be the global lingua franca thanks to a combination of the reach of the British Empire and, more significantly, America’s economic and cultural dominance of the 20th century. For it to be usurped by a different language, these strengths, in particular the economic and employment benefits associated with being able to speak English, would have to be surpassed by something else. It’s possible to imagine this happening if, say, America’s economy was overtaken and subsequently dwarfed by China’s. But a situation in which it would be replaced by a politically-neutral language like Esperanto? That seems a little far-fetched. Much the same could be said for the dollar’s status as the global benchmark currency. Being the currency of the world’s economic superpower means the USD is seen as a safe haven. There appear to be two ways in which this association with the US economy could come to be seen as a weakness. One is that another country’s GDP, presumably China’s, exceeds that of the US and becomes the dominant economic power. If this did happen though (and it’s a long way off with China’s economy still just half that of the States) surely the yuan would simply usurp the dollar as the main global currency? The other way offers more succour to fans of bitcoin. 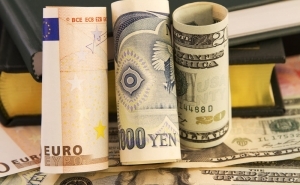 If trust in governments and institutions to effectively regulate currencies became the issue then perhaps there would be a shift to preferring decentralised versions of money. Few pundits are predicting the current brinkmanship in Washington over the budget and debt ceiling will lead to a default, but future cataclysmic institutional crises of this sort would appear to be the likeliest catalyst for the emergence of a cryptocurrency as a major player. Bearing these lessons learnt from the world of linguistics in mind, we could conclude there are three developments needed if XBT or any other virtual currency is going to establish itself as a monetary lingua franca. Firstly, the number of users of bitcoin and the ways in which it can be used need to increase. Secondly, it needs to become far easier to get hold of bitcoins. And thirdly, these first two conditions will need to be accompanied by a widespread desire to abandon the status quo and find an alternative to the all-powerful dollar. 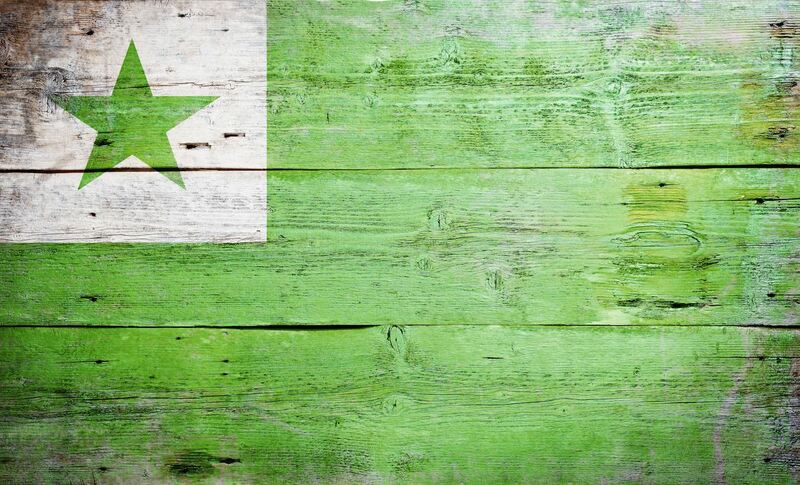 With the dreams of a common international language no more than a speck in the rear-view mirror, perhaps those driving the bitcoin project forward can learn from the conditions that blocked Esperanto’s path and steer a more successful course towards prominence in the real world. 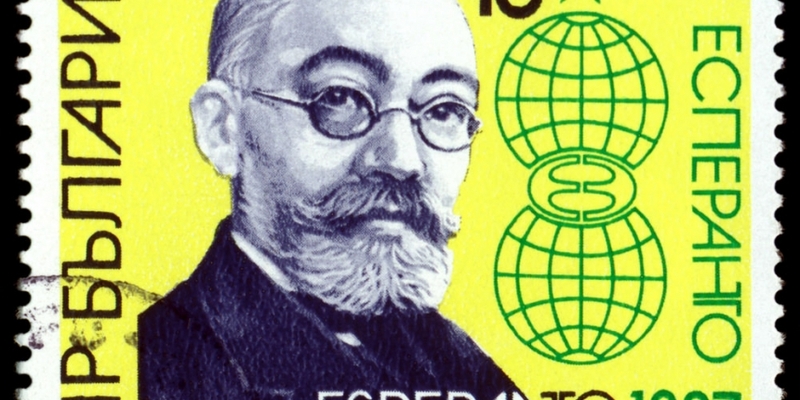 Feature Image: Polish linguist Ludwig Zamenhof printed on a Bulgarian stamp.